Perhaps one of the most common uses of cloud computing for businesses is file storage and sharing. With cloud computing, all important company files and data can be accessed from any device and any location with an internet connection. This enables teams to work more seamlessly together and even allows for mobile and remote working possibilities. Sometimes companies have more data than what an on-site computing solution can manage. With the advent of digital marketing technologies, for example, there is now more trackable consumer data than ever before. Many businesses use cloud computing in order to manage and process large amounts of information. Businesses are also able to analyze the data in large quantities to extract valuable growth insights. Cloud computing offers opportunities for testing and development like never before, providing an environment which can be tailored to your specific needs. Cloud computing greatly reduces the amount of time and effort in testing and developing new projects. It’s incredibly important for businesses to frequently backup their data to guard against a systems failure or unforeseen disaster. Using the cloud for backup ensures your data will be safe off-site from any local natural disaster, theft, or malfunction. As a company grows, so does its computing power needs. By using the cloud, businesses can plan for growth without a hefty up-front investment. Cloud storage is significantly more cost-effective compared to on-site servers. 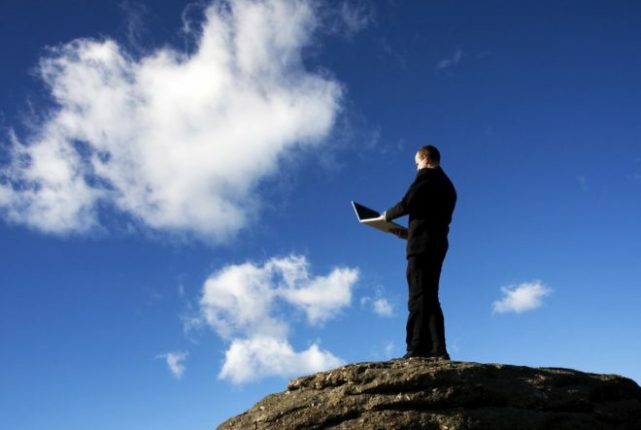 Is your business using cloud computing to its full potential? If not, it’s definitely time to consider the benefits of cloud computing for your company’s needs. From file sharing to big data analytics and cloud management systems, every business is sure to find a need for the cloud.